The property to be moved is owned by the customer. Should the pick up or delivery address alter or split deliveries become a requirement, Mobile Orange Ltd reserve the right to charge any extra incurred expenses. Likewise if the day and time booked alters, due to house sale delay or any other event, we reserve the right to charge costs such as labour hire, re-delivery and any associated cost of operation should the need arise. Mobile Orange Ltd transport as per the Carriage of Goods Act 1979. It is noted that Mobile Orange Ltd are not liable for loss or delay should goods be delayed in transit due to weather or vehicle delay. 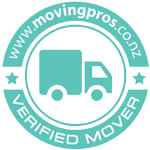 All moving jobs including self pack and self unload Units travel at Owners Risk basis and the owner is to cover their own goods through existing arrangements with their own insurance company. Neither Mobile Orange Ltd or its insurers accept liability for pot plants, or pots, kitset furniture that has not been dismantled, kitset wardrobes, deterioration of deep freeze, refrigerated food, or damage caused by wear and tear, pre-existing damaged or gradual deterioration, whilst in storage or transit. Client agrees to lodge any claim in writing within seven (7) days of delivery of goods. Failure to do so will result in claim being invalid. Customer agrees to make full payment on due date indicated on the invoice, without deduction and no payments withheld, reduced or deferred on any claim or counter claim set off or otherwise. Mobile Orange reserves the right to charge interest at a rate of 3.5% per month on unpaid accounts. Continued failure to pay invoice in full will result in debt collection. All costs incurred charges in the collection of any outstanding debts will be passed to the debtor. The customer agrees that the responsibility for the moving vehicle and trailer remains with the driver. He has the right at all times to refuse to put his vehicle or persons at risk. Mobile Orange does not accept responsibility to driveway or road way surfaces or utilities that lie there under. The loading of your goods into our truck or unit is deemed to be confirmation of your acceptance of all clauses within this agreement. In the event that all goods do not fit in a truck or unit as quoted, an inventory list is to be completed and signed by both parties. Extra costs may be incurred. 1. The Storer and the Facility Owner agree that the Agreement is entirely contained within this document, the Privacy Information Document, any Redelivery documentation and any Fee Schedule as updated from time to time. d. has inspected the Space and Facility and is satisfied that the Space and Facility are adequate for the intended use and suitable for storage of the Goods the Storer intends to store (including that it may not be fitted with any fire proctection system). b. is not a bailee nor a warehouseman of the Goods and the Storer acknowledges that the Facility Owner does not take possession of the Goods. a. the Storage Fee being the amount indicated in this Agreement or the amount notified to the Storer in writing by the Facility Owner from time to time. The Storage Fee is payable in advance and it is the Storer’s responsibility to see that payment is made directly to the Facility Owner, on time, in full, throughout the period of storage. The Facility Owner does not normally bill for fees. Any Fees paid by direct deposit/direct credit will not be credited to Storer’s account unless the Storer identifies the deposit clearly and as directed by the Facility Owner. The Facility Owner is indemnified from any claim for enforcement of the Agreement due to the Storer’s failure to identify a deposit, including the sale of Goods;. h. any Costs or Expenses incurred by the Facility Owner in collecting late or unpaid Storage Fees, maintaining the Goods, selling the Goods, or in enforcing this Agreement in any way, including but not limited to postal, telephone, debt collection, and/or the default action (including legal costs on client/solicitor basis) costs. 6. The Storer will be responsible for payment of any government taxes or charges (including any goods and services tax) being levied on this Agreement, or any supplies pursuant to this Agreement. ii. dispose of the goods in any other manner, whether for value or not, as the Owner sees fit. iii. third, any excess will be sent to the Storer. 8. If the Storer has more than one Space, any breach or default in regards to one Space will authorize the Facility Owner to enforce default action with regards to all the Storer’s Spaces, including but not limited to refusing the Storer access to the Spaces and/or Facility. 9. The Space will not be Redelivered to the Storer unless all Fees, Costs and Expenses are paid in full. a. may only retain the Space following Delivery or Redelivery for the defined Packing Period, as set out on the front of the Agreement or in the Redelivery documentation. A Late Return Fee will be accrue for each 24 hours or part thereof that the Space is not ready to be taken back to the Facility outside the Packing Period. g. must not attach nails, screws etc to any part of the Space and must maintain the Space by ensuring it is clean and in a state of good repair and must not damage or alter the Space without the Facility Owner’s consent; in the event of uncleanliness of or damage to the Space or Facility the Facility Owner will be entitled to retain the Storer’s deposit, charge a Cleaning Fee, and/or full reimbursement from the Storer to the value of the repairs required. j. grants the Facility Owner entitlement to discuss any default by the Storer with the Alternate Contact Person registered on the front of this Agreement. 11. The Facility Owner may refuse access to the Space by the Storer where moneys are owing by the Storer to the Facility Owner, whether or not a formal demand for payment of such moneys has been made. 12. The Facility Owner reserves the right to relocate the Storer to another Space at the Facility Owner’s sole discretion without reference or explanation to the Storer under certain circumstances. 13. No oral statements made by the Facility Owner or its employees shall form part of this Agreement, and no failure or delay by the FacilityOwner to exercise its rights under this Agreement will operate to waiver those rights. 14. The Storer must give the Facility Owner Access Notice as indicated on the front of the Agreement to gain Access to the Space at the Facility. Failure to attend after giving Access Notice will attract a No Show fee as indicated on the front of the Agreement. 15. The Storer must give the Facility Owner Redelivery Notice as indicated on the front of the Agreement. The Facility Owner need not comply with a request for Redelivery that gives less than the defined Redelivery Notice. The Goods are stored at the sole risk and responsibility of the Storer who shall be responsible for any and all loss, theft, damage to, and deterioration of the Goods, and shall bear the risk of any and all damage caused by flood or fire or leakage or overflow of water, mildew, heat, spillage of material from any other space, removal or delivery of the Goods, pest or vermin or any other reason whatsoever including acts or omissions, negligent deliberate or otherwise, of the Facility Owner or persons under its control. The Storer agrees to indemnify and keep indemnified the Facility Owner from all claims for any loss of or damage to the property of, or personal injury to, the Facility Owner or third parties resulting from or incidental to the use of the Space by the Storer, including the storage of Goods in the Space or resulting from the Space’s movement and/or location during or resulting from Delivery or Redelivery. The Storer acknowledges and agrees to comply with all relevant laws, including Acts and Ordinances, Regulations, By-laws, and Orders, as are or may be applicable to the use of the Space. This includes laws relating to the material which is stored, and the manner in which it is stored. The liability for any and all breach of such laws rests absolutely with the Storer, and includes any and all costs resulting from such a breach. In addition to any other remedies as may become available to it the Facility Owner may, if they have reason to believe that the Storer is not complying with all relevant laws, take any action the Facility Owner believes to be necessary, including the action outlined in clauses 22 & 24, contacting, cooperating with and/or submitting Goods to the relevant authorities, and/or immediately disposing of or removing the Goods at the Storer’s expense. The Storer agrees that the Facility Owner may take such action at any time even though the Facility Owner could have acted earlier. Subject to clause 22 the Storer consents to inspection and entry of the Space by the Facility Owner provided that the Facility Owner gives 5 days written Notice. In the event of an emergency, that is where property, the environment or human life is, in the opinion of the Facility Owner, threatened, the Facility Owner may enter the Space using all necessary force without the written consent of the Storer, but the Facility Owner shall notify the Storer as soon as practicable. The Storer consents to such entry.